One of the days which i can not forget. 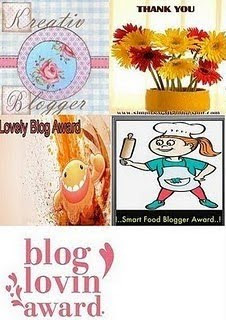 As usual i checked my blog in the morning and got pleasant surprise from Yummy Team in the form of sunshine award, blog loving award and Honest scrap award. I am so happy today. Thanks alot to Yummy Team for passing these awards to SpiceUrSenses. I would like to share these awards to my blogger friends. Tina of Kaipunyam, Gulmohar of CollaborativeCurry, Sarah Naveen of Vazhayila, Priya of Priya easy n tasty, Jagruti of Joyofcooking, Supriya nair of Mykookbook, Biren of Roti n Rice, Pavithra Srihari of Binge on Veg, Simply food of Simplysensationalfood, Cool Lassir of Pangravykadaicurry. Congratulations Rumana!!! All the best and keep up the good work. 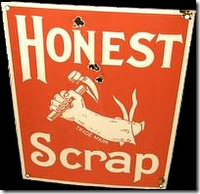 I forgot to tell you that the honest scrap award comes with a set of rules. Here are they..
a) You must brag about it :). b) Share 10 things about you. 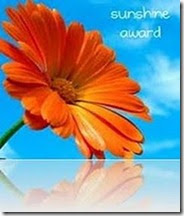 c) Pass the award to other fellow bloggers by visiting their site. You can pass the other awards also to fellow bloggers if you wish. Congrats Rumana, keep rocking and thanks for sharing dear.. I too agree with you how it feels to be in a different country! Thanks a ton for remembering me and sharing it with me . As I have already posted about the same awards,Shall I just include your name in the post or you want me to brag about it.